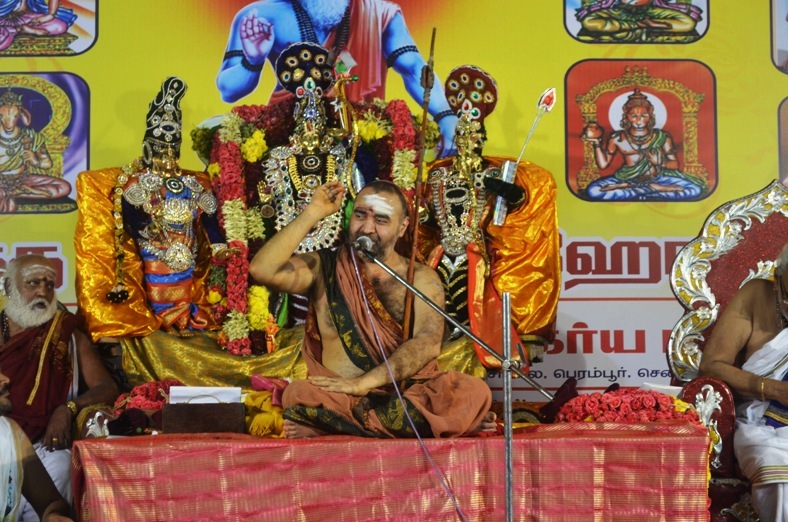 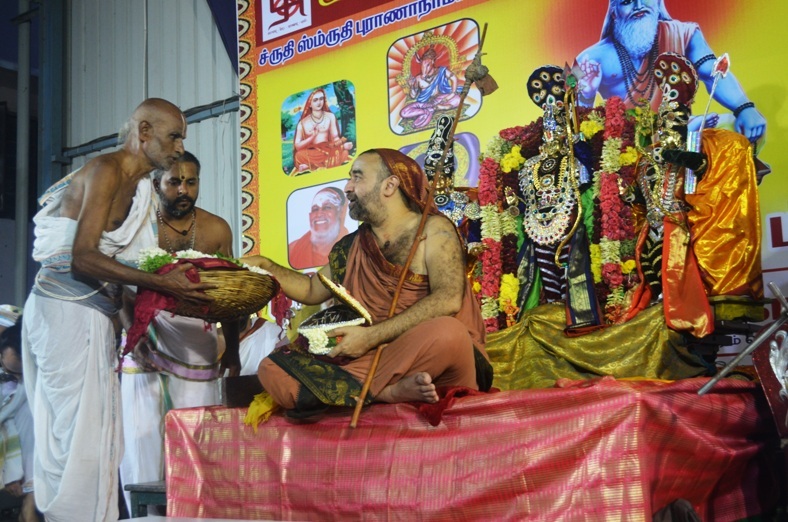 HH Pujyashri Shankara Vijayendra Saraswathi Shankaracharya Swamiji visited GK Shetty school in Ambattur, Chennai and blessed a Vedic event. 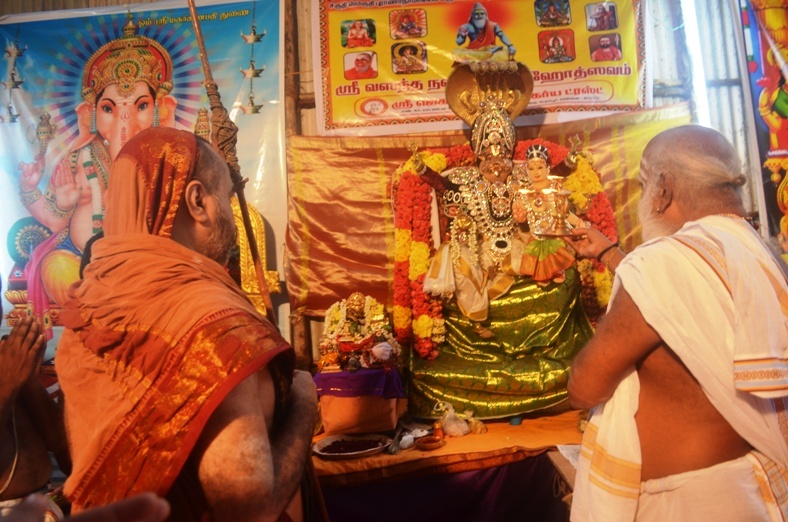 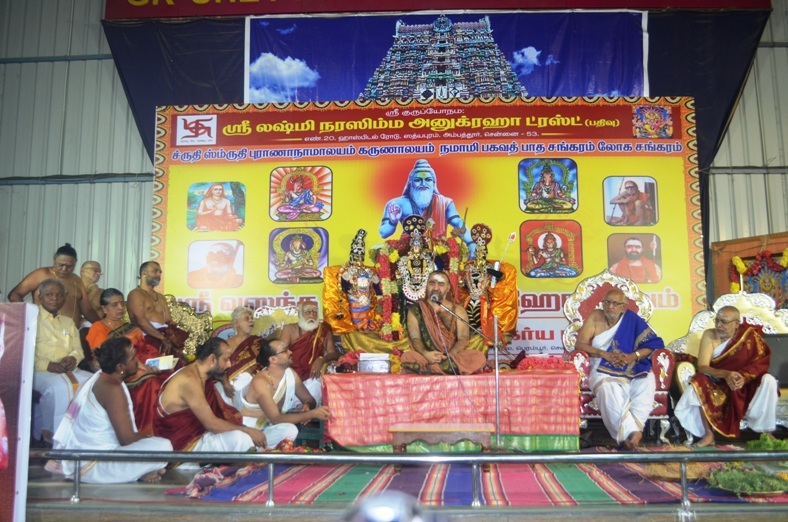 With the Blessings of His Holiness, the organisers conducted a ten-day event where Parayanam of various Veda Shakhas was held along with havans and discourses on topics including Veda Bhashya - (Vedic meaning) were held. 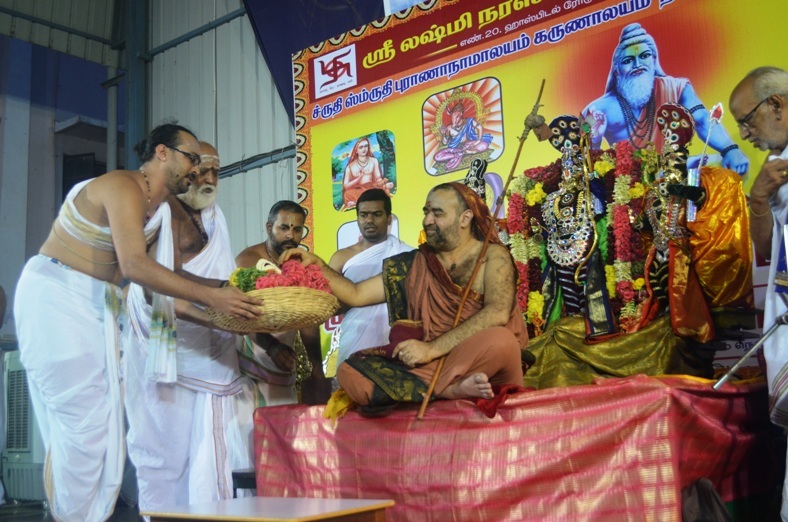 On final day, His Holiness graced the event. 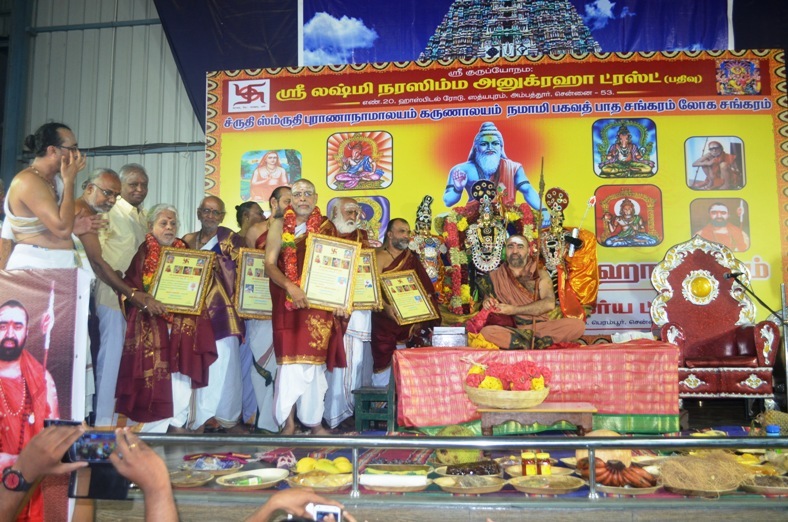 Scholars in the areas of Vedic teaching, Shastric teaching/Upanyasa, Vedic Prayoga & Vedic service were honoured in the presence of His Holiness. 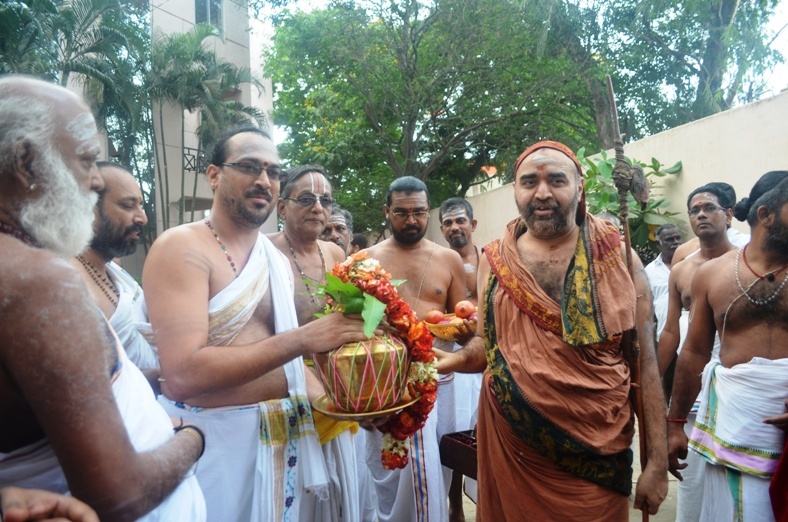 His Holiness then delivered Anugraha Bhashanam. 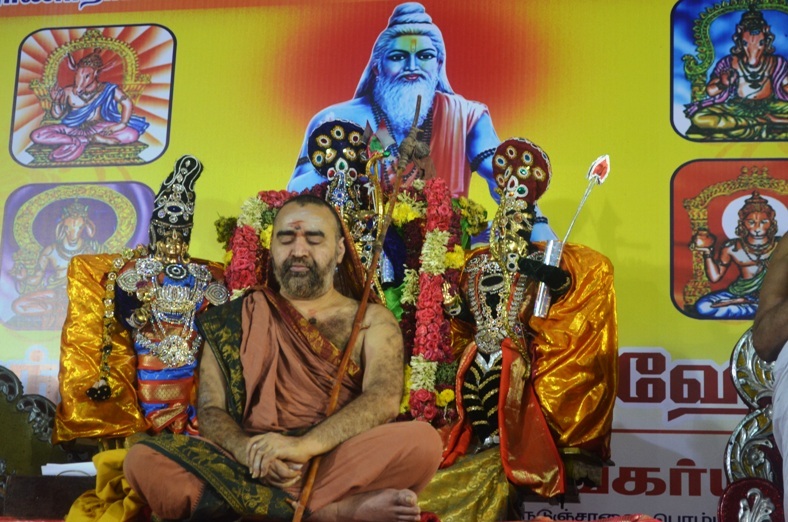 In his hour long Anugraha Bhashanam, His Holiness through various quotes from Acharyas' Bhashyas stressed that Sri Adi Shankara upheld the greatness of Veda Dharma and stressed the need of Vedic study. 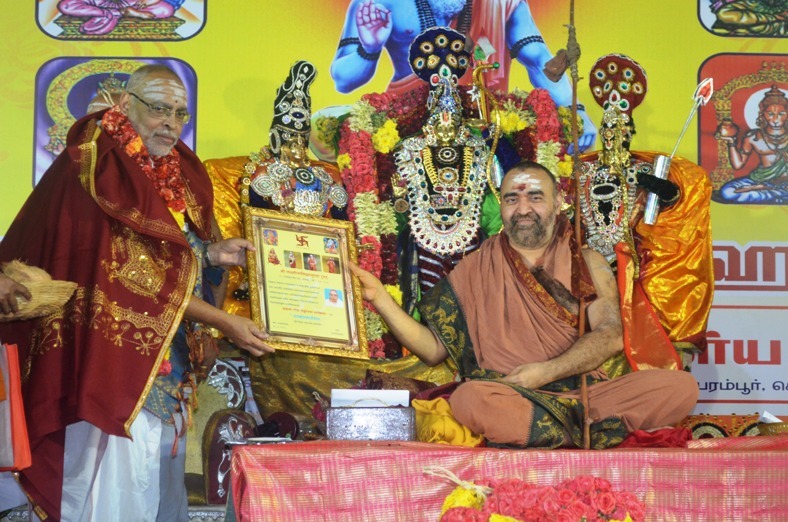 His Holiness also highlighted the importance of Gruhya Prayoga and the need to strengthen Vaidika Dharma.